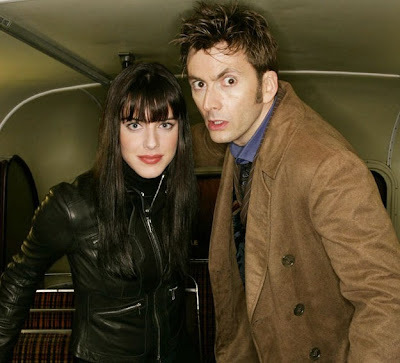 I was very happy to read the other day that one of my all time favourite TV hotties, Michelle Ryan, will be appearing in the Easter Dr. Who special "Planet of the Dead". The former Bionic Woman and Eastenders star will be playing the part of Lady Christina de Souza, a mysterious woman who pulls off a jewelry heist and escapes on a strange Double Decker bus where she meets the Timelord himself. 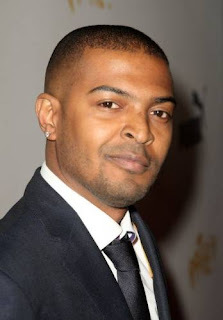 Oh and there's also news that Noel Clark aka Mickey Smith (who I was lucky enough to spend a whole day with back in 2007 at the San Diego Comic Con) could well return in the not too distant future too. The Bafta nominated star told TV Biz: "Who would turn down a return to Dr. Who? I love the show and have always supported it. I was there from day one when nobody was sure if it was going to be a hit. But the show moves on. Who knows? Whatever happens, happens. I'll see if they come knocking!" I for one would love to see Noel return as Mickey, bringing back characters has seemed to go well for the revamped Dr. Who series over the last few years, and Mickey was a great character. I know the Americans seemed to love him! G.I. Joe - New Image. Worrying? Rambo V In The Works? Plus Expendables. Resident Evil 4 Movie On Its Way? I Heart Guts & Mr Toast Rule!